Without which, a website can be subject for web robots, much like those of search engine crawlers, to access and index the directory of the website.The benefit of using this single text file to control the omission of pages is that maintenance becomes easier. The favicon.ico, or favourite icon, is a small image that can represent a website that is placed in the browser’s address bar. It acts much like a desktop application shortcut and adds both style and additional identity to a website with the browser’s favorites and bookmarks functions. 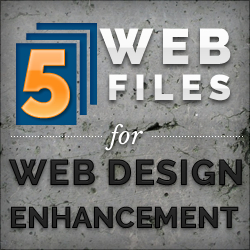 This file is a solid extra file as browser’s already have a built-in support for it. The Sitemap.xml file aids search engines to index the website correctly by listing the structure of a website and all its pages so that the search engine crawlers can get a grasp of where specific content are located on the site. elements like HTML, metadata, microformats and well-written content which are responsible for generating appropriate search results. It is these elements, after all, that augment the semantic value of the media you provide. This file can allows a website to perform its own search engine listing by means of a search feature which appears in major browsers. The result complements the search mechanism of that website by enhancing an in-browser search.